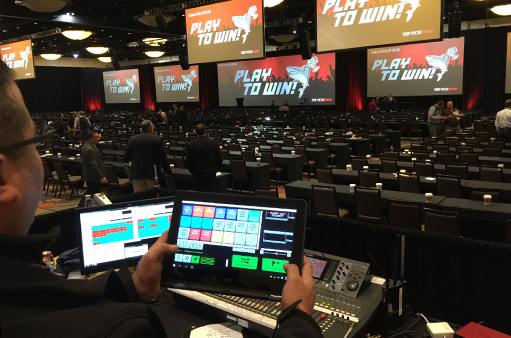 For over two years, technicians from all over the world has relied on AV-Presets to execute the shows. An application designed to aid in the execution of presets for multi-destination presentation switchers. With AVP’s intuitive user interface and it’s ability to work seamlessly along side E2’s “Event Master”, as well as Spyder’s “Advanced”…This is the most convenient way to handle complex switching cues. What makes this app so different from any of the others is its ability to communicate directly with the switching frame. It does this by making use of the same command strings as the frames own programing utility. Utilizing this method provides greater speed in cue execution as well as the ability to receive return data from the switcher. This data return now enables for a live depiction of both preview and program destinations, current source/layer sizes, positions and indications to which preset number are in preview, as well as in program. 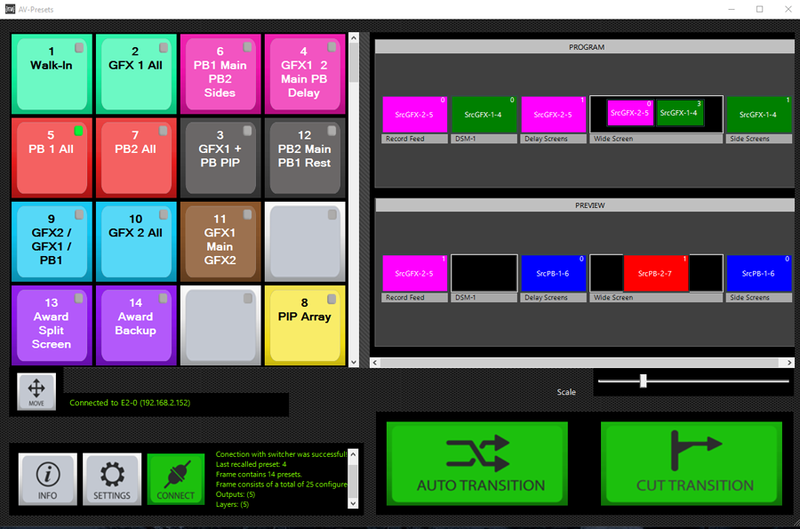 AV-Presets remains in perfect sync with any and all configuration changes performed using the switcher’s programming utility, such as adding or removing presets, destinations, layers and even sources. This communication also allows AV-Presets to receive all current preset titles; no more having to re-enter label names. The ergonomic layout and large preset buttons make it easy to use even on a mobile tablet. Simply click and slide the divider to arrange for more or less buttons to be displayed at the same time. Additional presets can be accessed by simply scrolling the array up or down. The order in which presets are shown can easily be rearranged to suit your preferences. Simply drag and drop them into the positions you desire. With ten different colors to choose from you can customize the color of each button individually, making it easier to distinguish particular groupings. Auto-transition times can be configured separately for each preset. This individual time setting overrides the global default setting – which of course is also configurable. Rounding out our primary controls are the Auto and Cut Transition functions. Each button is large enough not to mistake and large enough to never miss a cue because of a misguided mouse or finger placement. Configuring the application is easy with our auto detect feature. Once you enter the setup window, AV-Presets searches the network for any attached switchers and displays them conveniently in a list. When you select the switcher of choice, simply click one button and all of the data necessary to connect, is saved for easy recall. There is also a history log. 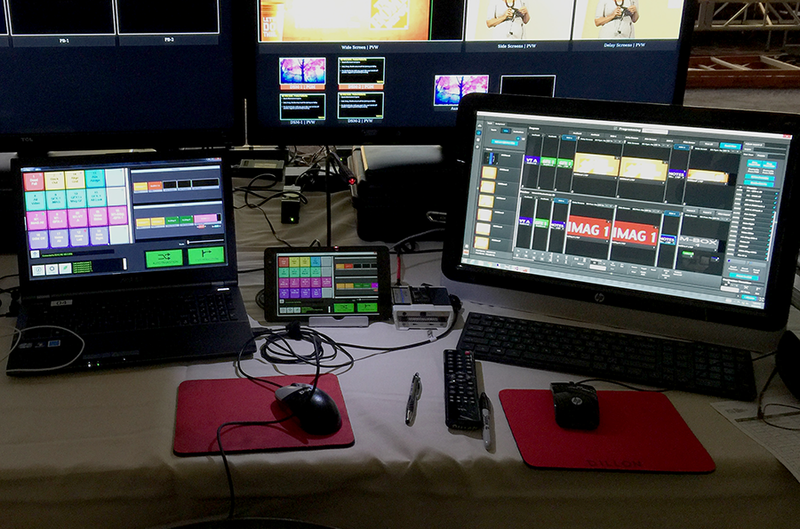 This constantly updating list follows along with each command given and received by the switcher. This allows for easy inspection of all previous commands. AV-Presets works on most Windows operating systems; Vista, 7, 8.1 and 10. Earlier systems may require minor upgrades to system drivers. These drivers are automatically updated during application install. Image curtesy of CMG Shows. Try AV-Presets for yourself. Just download the full-functioning free trial version, install it on a PC connected to the switcher’s network, open the settings window and select the detected frame. Now connect and your off and running.